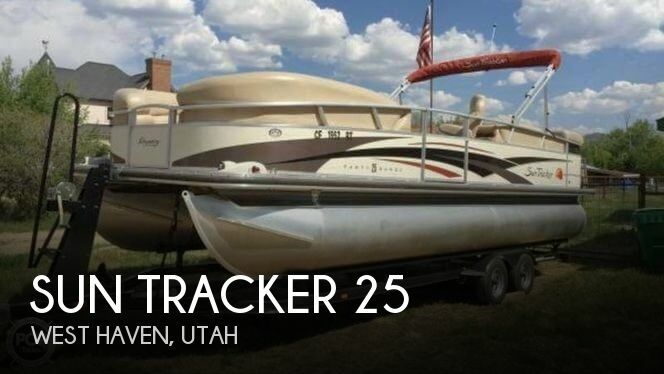 This 2008 Sun Tracker Regency 25 Party Barge looks to be in good condition. Parts of the interior will need some attention in the next year or so as you will be able to see from the photos. It is a result of normal wear and tear from using the boat throughout the years. Mechanically the seller says this boat is good to go. It needs nothing that he is aware of. The 2008 Sun Tracker Regency 25 Party Barge sits on a 2008 Trailstar Dual Axle Steel Trailer with Front Access Steps and Surge Brakes. This trailer looks to be in good condition. The seller states that mechanically it is also good to go. It needs nothing that he is aware of. 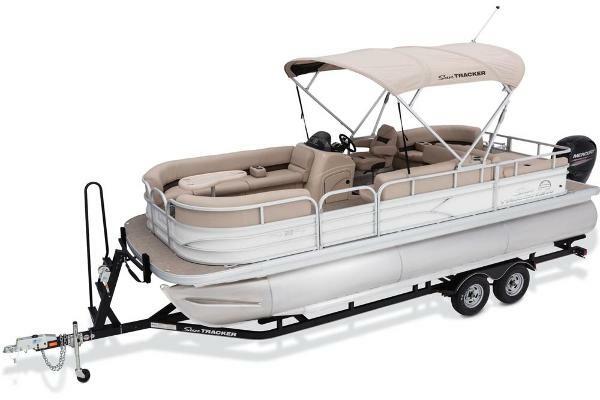 Stock #164415 Sun Tracker 25 Regency Party Barge powered by a 3.0 L, 135 hp Mercruiser I/O, comes with a changing room! If you are in the market for a pontoon boat, look no further than this 2008 Sun Tracker Party Barge 25, just reduced to $29,900 (offers encouraged). This boat is located in West Haven, Utah and is in good condition. She is also equipped with a Mercruiser engine. Reason for selling is divorce..